Samsung, Verizon, and KT have been collaborating on 5G research and development since 2015. The three companies have played an important role in aiding the development of early 5G specifications and global standards. Samsung has teamed up with them once again at a sporting event in the United States to demonstrate Samsung’s 5G solutions and possible use cases. 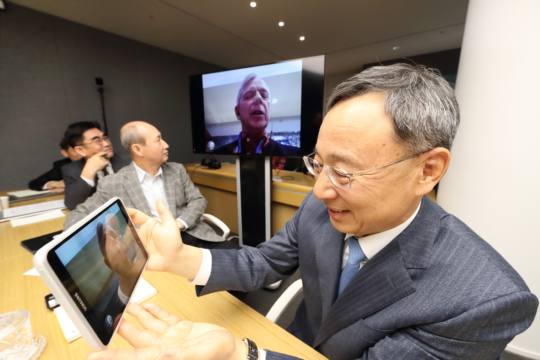 The company did so by conducting a live video call over 5G technology between Minneapolis, USA, and Seoul, South Korea by using Samsung’s end-to-end 5G solutions in each location. Samsung facilitated the demonstration at the event by supplying 5G access units, 5G home routers (CPEs), a prototype 5G device, virtualized RAN and virtualized core network. By leveraging in-house technology, Samsung has made one of the smallest 5G radio base stations and 5G home routers (CPEs) in the market. Samsung also demonstrated a fully-functional 5G tablet prototype, capable of handling multi-gigabit 5G speeds along with support for data session handovers between 4G LTE and 5G to ensure seamless connectivity. 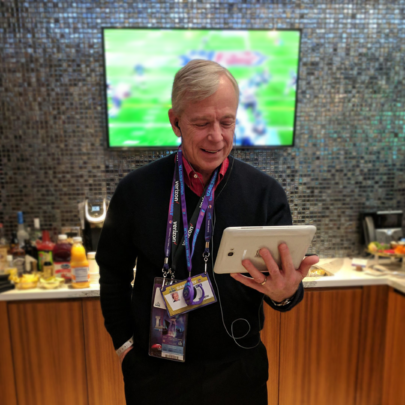 “We have been working closely with KT and Verizon to demonstrate mobile 5G use cases at two prestigious global events. This demonstration conducted today with KT and Verizon represents a huge milestone for us, showing our contribution to the development of early 5G global specifications and 3GPP NR (New Radio), and spotlighting the next generation Samsung technologies that let operators implement robust new services,” said Woojune Kim, Senior Vice President and Head of North American Business, Samsung Electronics. Samsung has shown keen interest on many occasions to become a dominant player in the 5G market. It has been collaborating with carriers to conduct 5G trials and develop 5G devices. At CES 2018, Samsung reportedly showcased its 5G modem prototype behind closed doors to its partners. Samsung is also supplying hardware for Verizon’s commercial 5G launch. Being the largest chip maker in the world, it makes sense for Samsung to invest in the development and deployment of 5G technology. The company is working towards creating an ecosystem of products for both carriers and customers to lead the 5G era.